I am late for a very important date. I don't know how but I can't stay up to speed with Zell Heff he is the most consistently working artist out right now. There is not a day that goes by that Zell isn't promoting his brand and his music. 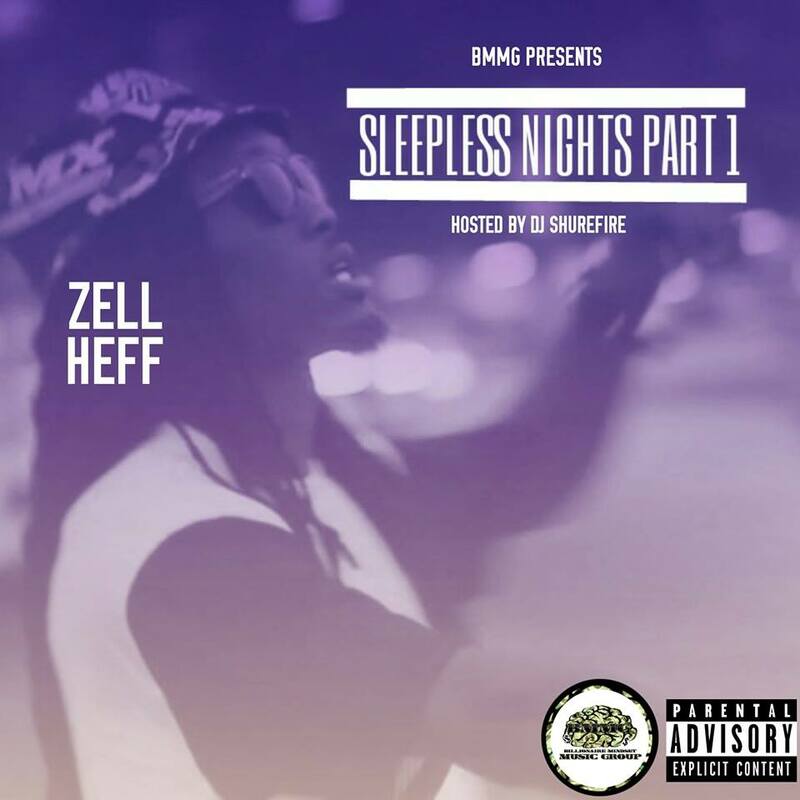 With all that being said I am going to have to combine Zell's "Legal Murder" review with his new mixtape "Sleepless Nights Pt.1" This should be fun and I hope you guys can keep up as I get everybody up to speed. 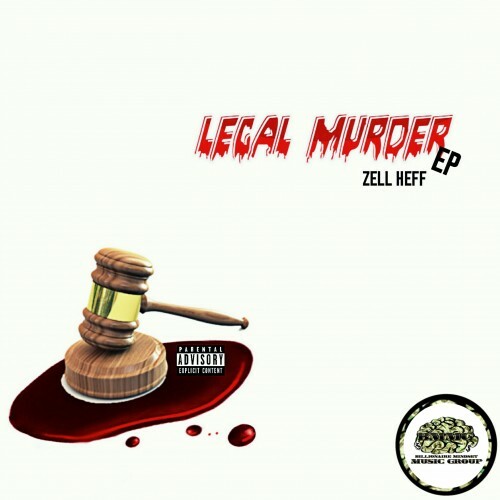 Two months ago Zell dropped "Legal Murder" on livemixtapes and it has been full steam ahead ever since. "Legal Murder" has eight tracks all containing witty punchlines, some borrowed beats, and his undeniable swag. I feel like this mixtape was a precursor to what was to come with "Sleepless Nights Pt.1" and even though he covered popular beats he was able to put his own stamp on it. Talking about relatable things, he is able to talk about real life situations and putting his own spin on it. When you listen to Zell Heff you KNOW you're listening to Zell Heff. He is distinguished in sound and style and it's easy to want to rock with him. His youthful vibe makes him for those late teens, early 20 somethings and then he politely taps the mid 20 and early thirties on the shoulders and hands them a mixtape and a double cup. He is up and working constantly, I enjoyed his spin on industry beats. Pulling up on "Sleepless Nights Pt. 1" we get eleven tracks with three single tracks that prior to the project releasing late last month had been getting pushed by Zell Heff and his BMMG fam. The mixtape is hosted by DJ Shurefire and from the content in each song it is clear why the mixtape is called Sleepless Nights Pt.1. One of my favorite tracks is "Drug Abuse", he even made a video for it and it was rather trippy. He has a style that sets him apart from what is in right now. There are so many people imitating the likes of the Migos, Plies, and Future. While all of them are all distinct in sound everybody feels the need to try and sound exactly like them when they should focus on authenticity and finding their niche. I believe Zell has done that and is going to continue to grow as an artist. His vibe reminds me of Wiz Khalifa or Flo Rida. 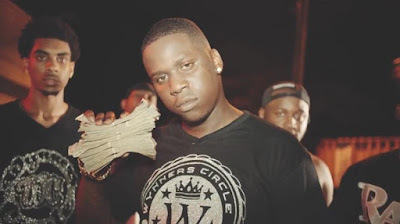 It is apparent that the guy has no intentions of pumping the breaks anytime soon and I am glad to know while there are artist that have one foot in and one foot out in this game, he is ten toes down in his craft and it is showing with each new project he puts out. Check out both of these projects from BMMG front man Zell Heff.